a new six cylinder overhead valve engine, a 215-c.i. inline six with 101 horsepower. 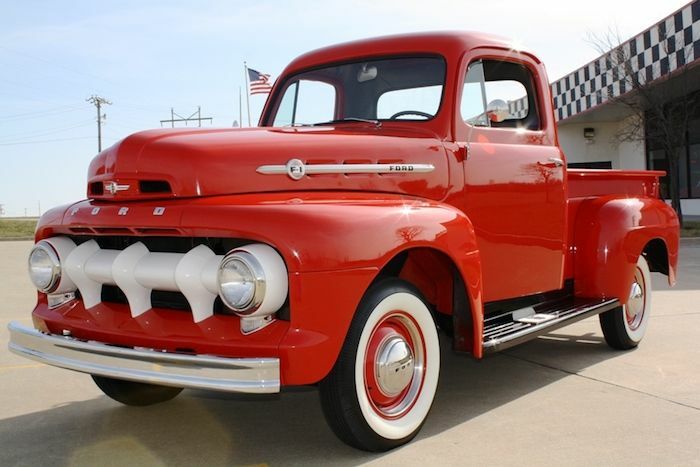 Many parts of the 1952 Ford F-Series trucks are very similar to the 1948 through 1951 Ford trucks. Available models for 1952 are the F-1, F-2, and F-3. Available engines include either a 215 cid inline 6 cylinder (101 horsepower) or a 239 cid flathead V8 (100 horsepower). The 1952 Ford Panel Delivery truck equipped with the Marmon-Harrington four wheel drive conversions was called a Ranger. It's not known to us if this was the first time the Ranger nameplate was used. All photos of the red 1952 Ford F-1 shown in this article are used with permission from HappyCarz.